This urban landscape painting is a nocturne view of clouds and buildings in midtown Detroit. 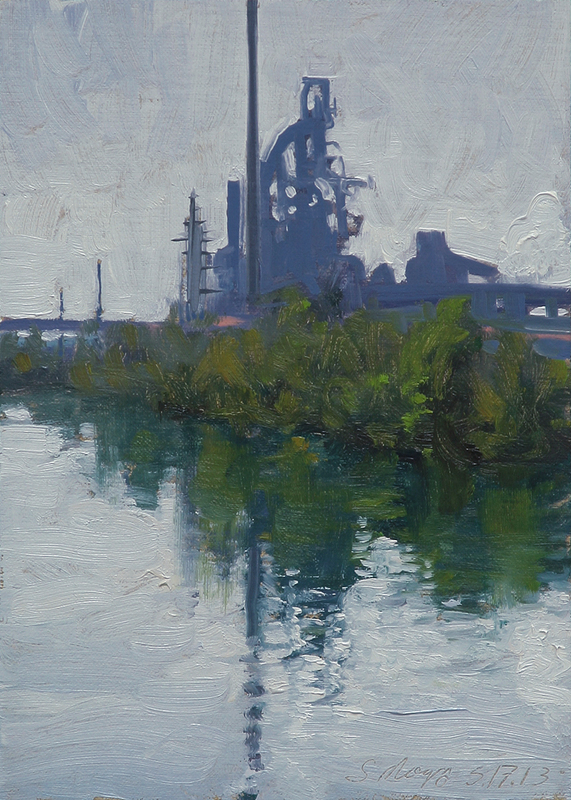 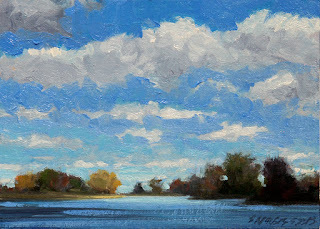 This landscape painting is a view of clouds reflected on Lake Okonoka on Belle Isle Park in the Detroit river. 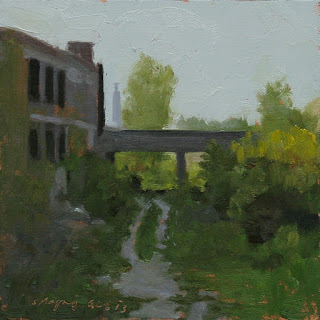 This urban landscape painting is a view of a two track in the old Dequindre Cut below grade rail bed near Eastern Market in Detroit. 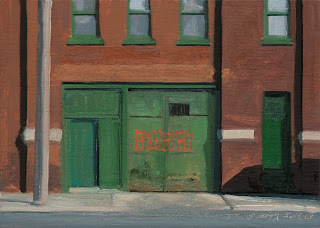 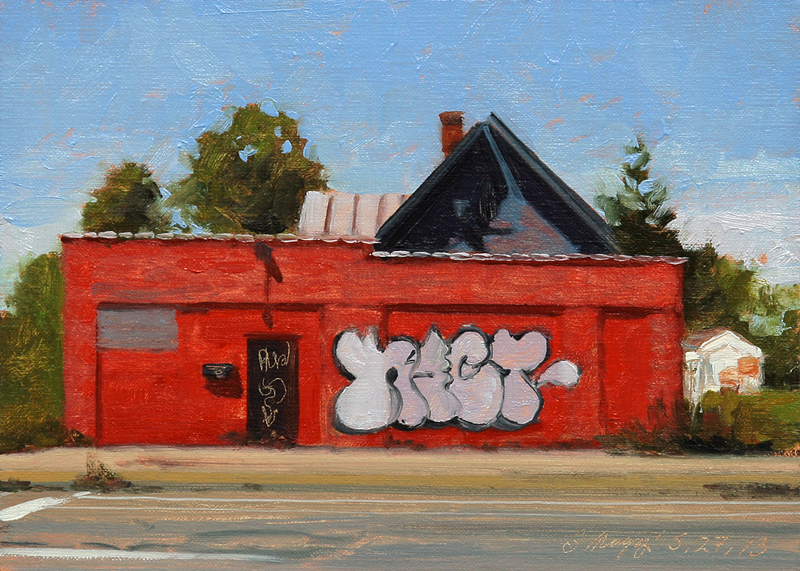 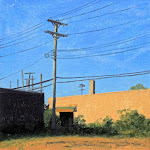 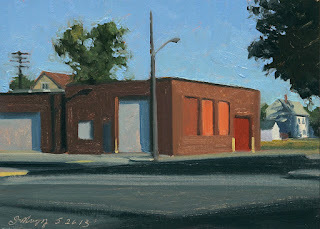 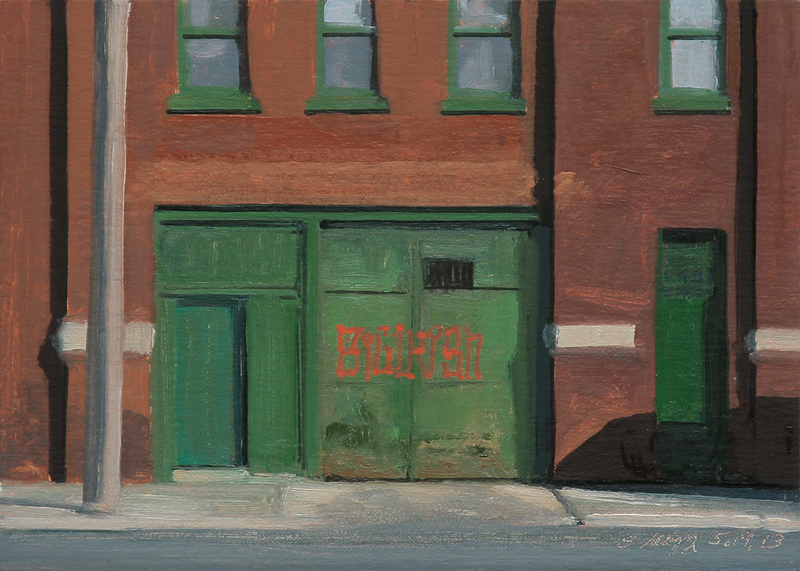 This Urban landscape painting is a view of an interesting red buildibg on 14th St in the North Corktown area of Detroit. 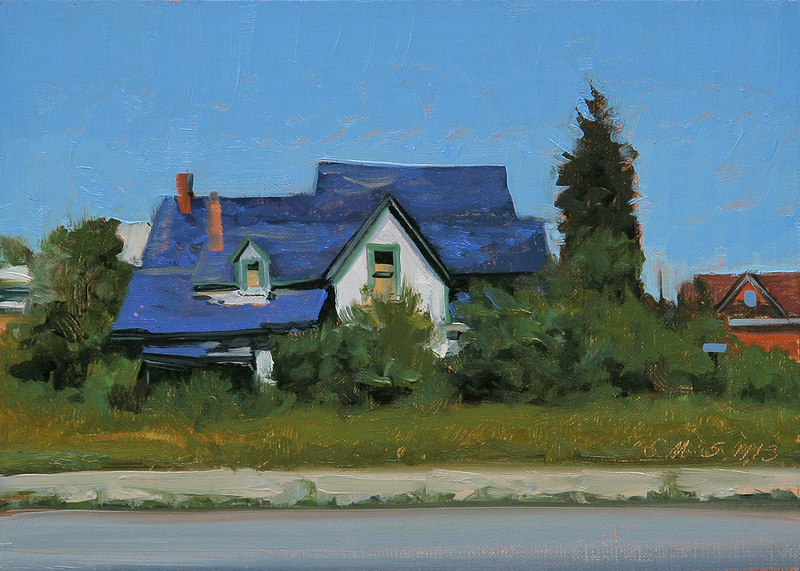 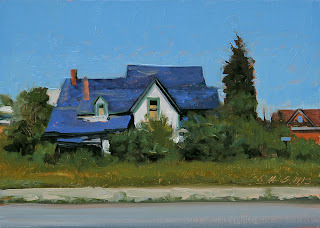 This Urban landscape painting is a view of a charming pale yellow-green house in the North Corktown area of Detroit. 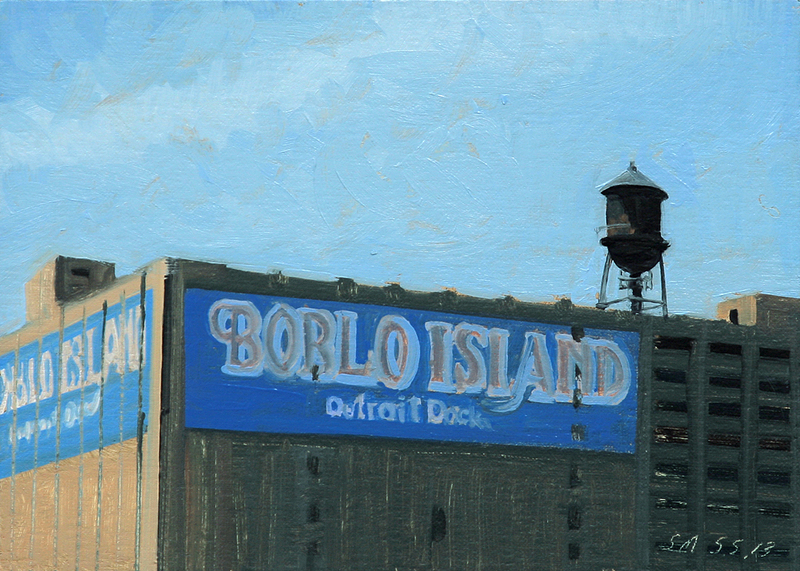 This is the last weekend for my solo show at the George Billis gallery in Chelsea, NY. 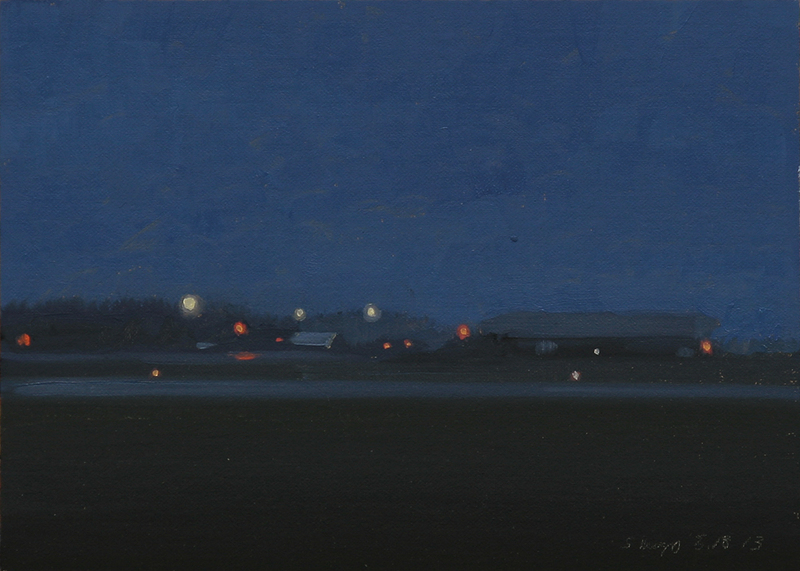 If you are in the NY area please stop in if you haven't seen the show yet. This landscape painting is a view of clouds over Lake Okonoka on Belle Isle Park in the Detroit river.This is the last week for my solo show at the George Billis gallery in Chelsea, NY. 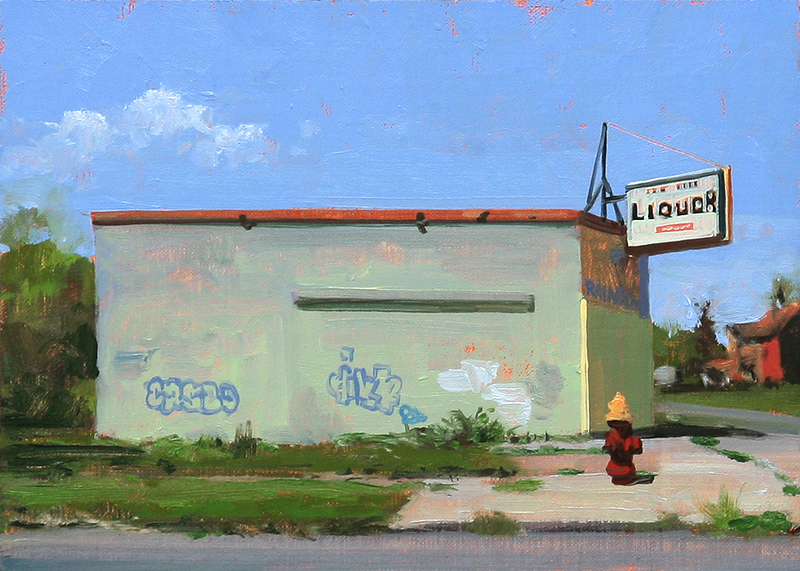 If you are in the NY area please stop in if you haven't seen the show yet. 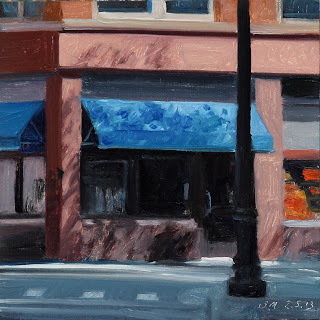 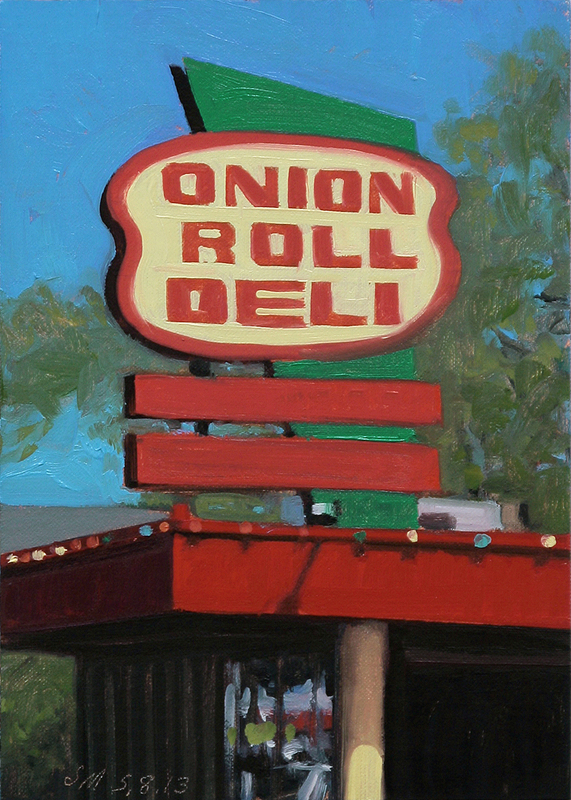 This urban landscape painting is a view of the Onion Roll Deli sign on Woodward Ave in Royal Oak. 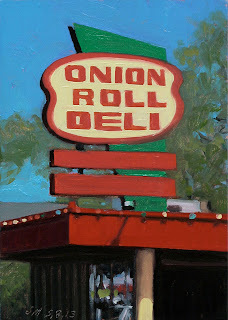 They had a very, very good corned beef sandwich on grilled rye. It has been closed for a little while but has new owners and will be opening soon. 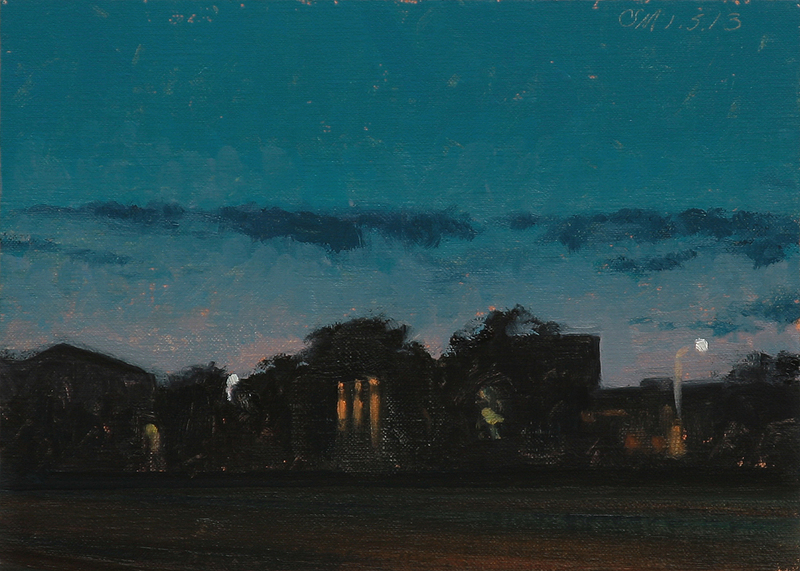 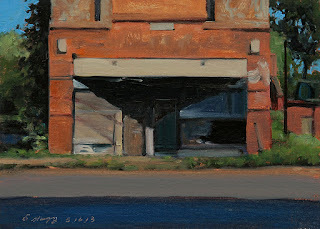 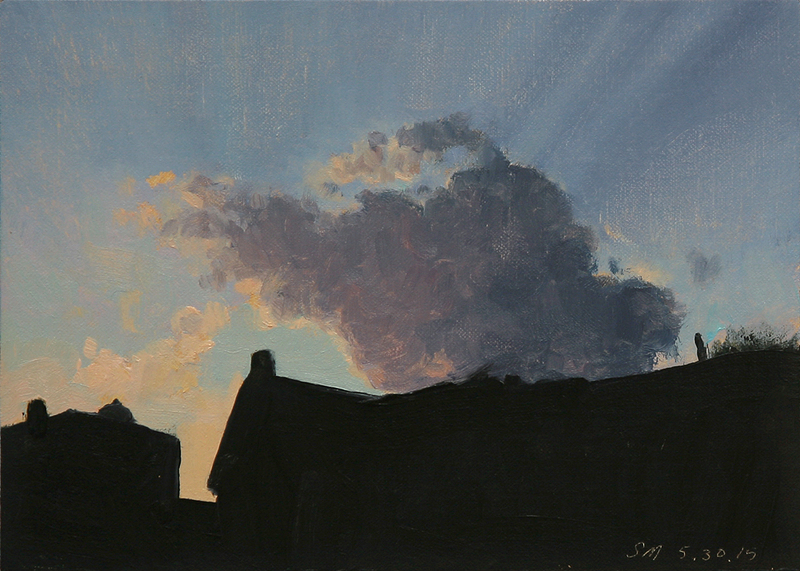 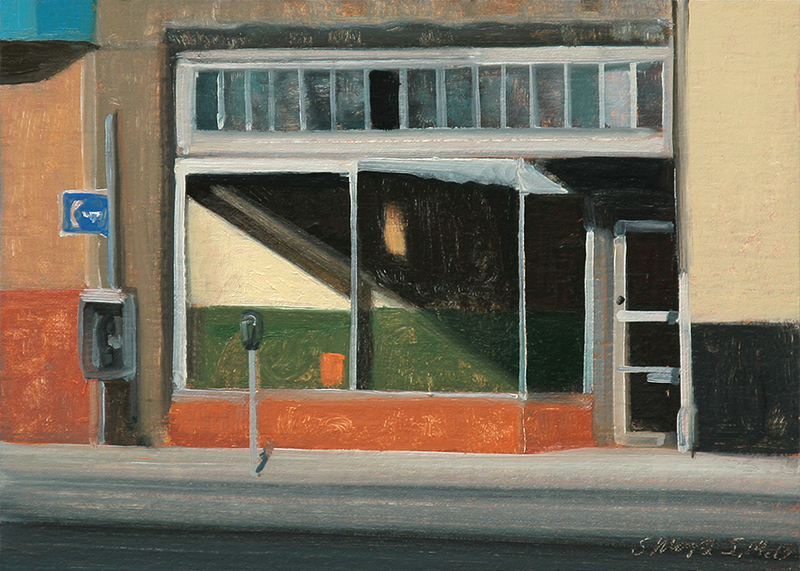 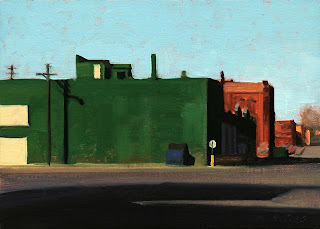 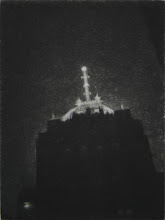 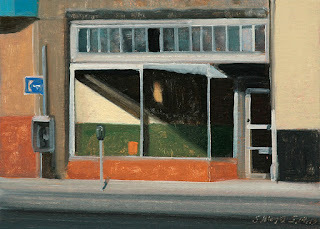 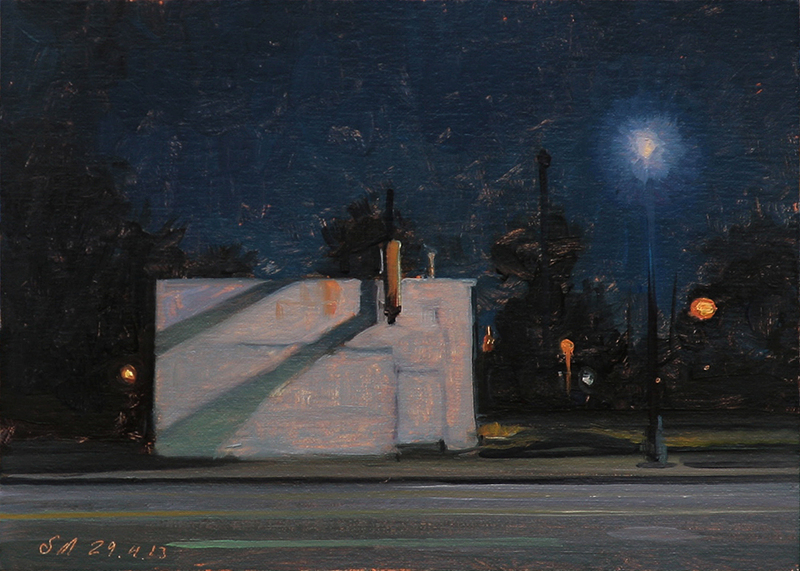 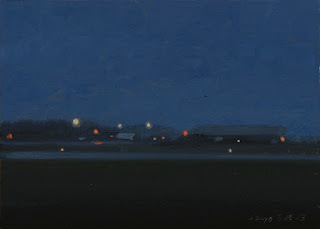 This landscape painting is a nocturne view of a white building with shadows on Michigan Ave near Corktown, Detroit. We have returned from our trip to New York for my opening at the George Billis gallery in Chelsea. 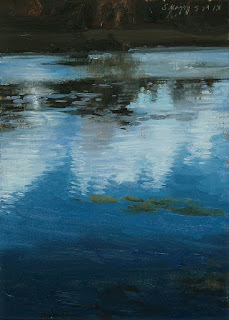 The opening was great and I had a chance to meet in person many blog and facebook friends. 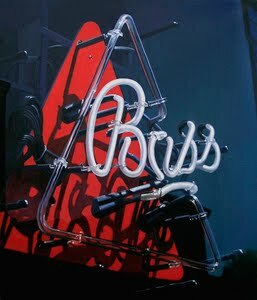 The show was a success with good sales. 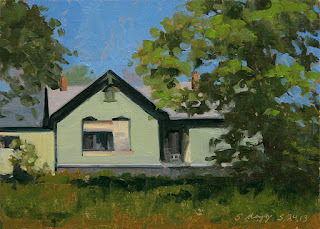 We had wonderful clear warm weather for shooting photos for future paintings and spent time with our NY friends.